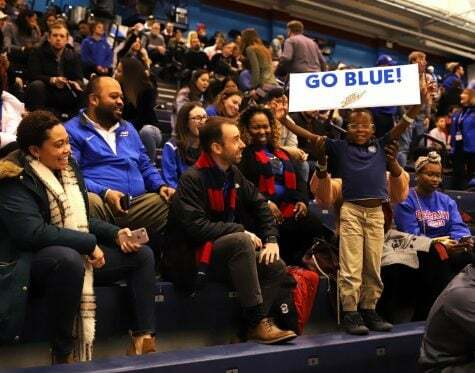 Of DePaul’s six losses this season — and with a 78-70 overtime loss to Northwestern being the sixth — the Blue Demons had to yet to experience a game where they were in full control, only to hastily lose control in the final minutes. 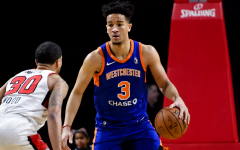 But that happened against Northwestern Saturday at Allstate Arena. 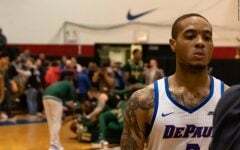 And now as the Blue Demons (5-6) fall below .500 again this season, they’ll have to search for answers as to why they can’t close a game where they led for just over 30 of the game’s 45 minutes. 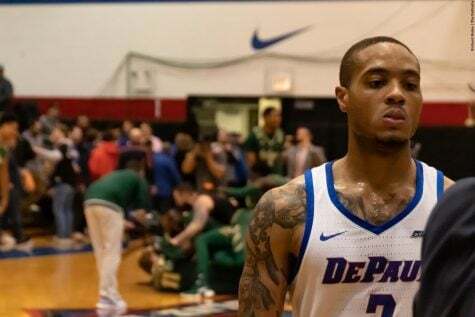 “It’s frustrating because we had it in our grasp and we let it go,” DePaul forward Myke Henry said. 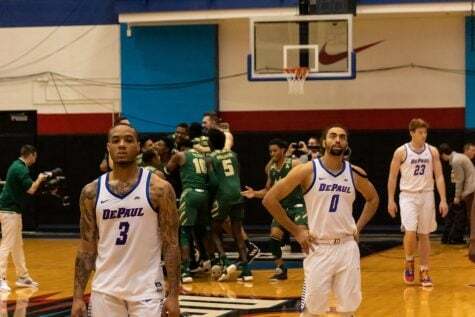 The loss was DePaul’s third straight. 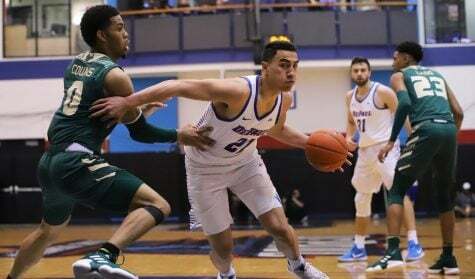 In the previous two games, DePaul couldn’t find its rhythm offensively. 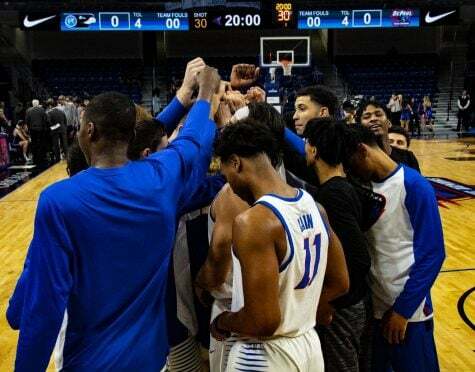 The Blue Demons struggled against Little Rock’s pack-line defense and turnovers cost them in a road loss to Stanford. Against Northwestern, however, it was the defense that fell apart. 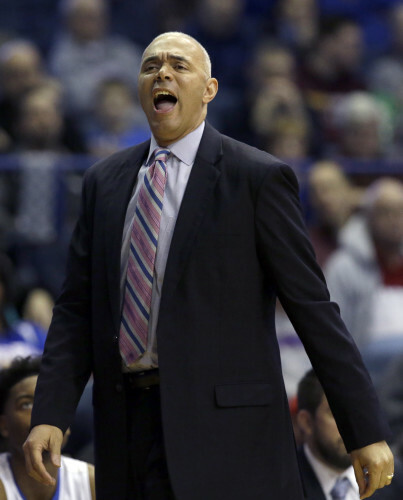 Henry and DePaul head coach Dave Leitao said the Blue Demons lost the focus they had earlier in the game, losing Northwestern players in transition and finish off the pick-and-roll. Northwestern guard Tre Demps played a large role in helping the Wildcats claw their way back into it. Demps led Northwestern (10-1) with 18 points and seven rebounds. He had just two points at halftime. The Wildcats got their first lead of the second half when guard Sanjay Lumpkin scored a layup with 2:58 left to lead 58-57. 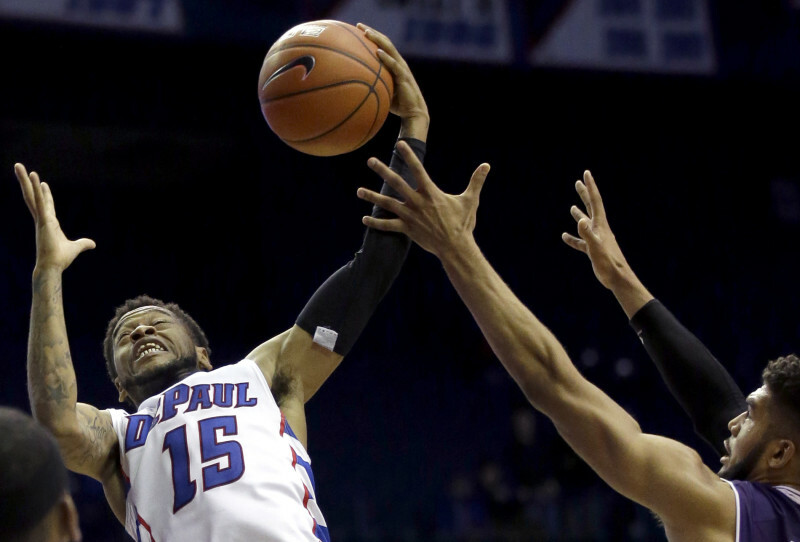 DePaul fought its way back when a pair of free throws from Billy Garrett gave DePaul a 61-58 lead with 1:49 left. DePaul, though, couldn’t separate themselves further than that. Northwestern tied the game with a Lumpkin free throw with 46 seconds left. Following regulation, forward Aaron Falzon made two crucial 3-pointers to seal the game for the Wildcats. “Quite frankly, I thought they outplayed us the first 30 minutes of the game,” Northwestern head coach Chris Collins said. “Then with about 10 minutes to go … our guys just dug down. That’s kind of what we’ve shown. This was our third overtime game in our first 11, and our guys just refuse to lose in that situation. 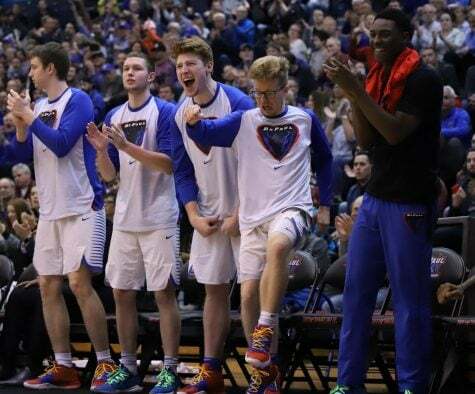 DePaul, meanwhile, looked lost and discouraged once Northwestern made its surge. 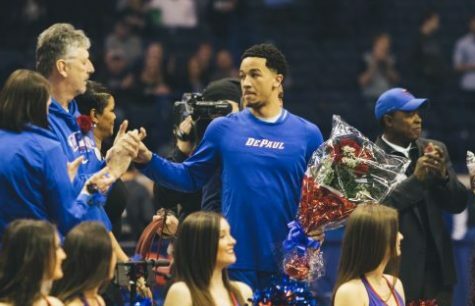 By no means, though, did DePaul solve its offensive struggles. The Blue Demons went the final 6:39 without a field goal in regulation. DePaul finished the game shooting nearly 35 percent. In overtime, the Blue Demons’ shot selection was even worse. Northwestern went into a zone defense, which is defense that DePaul has faced many times this season. Leitao said the selection was a result of the ball stopping and being put above players’ heads. 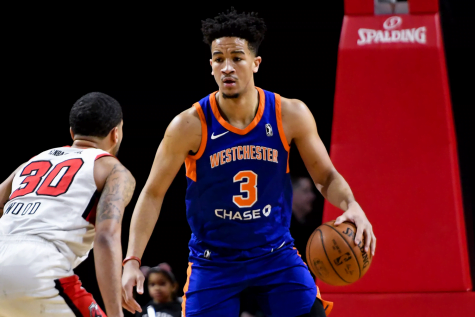 Henry led DePaul with 24 points and eight rebounds, while Simpson had 13 and eight rebounds. 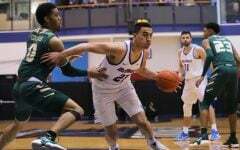 They were huge factors when DePaul had the lead, hustling for offensive rebounds and defending well. 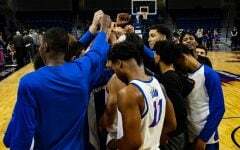 As a team, the Blue Demons were disciplined for most of the game, sticking to the core principles that Leitao has preached in practice. 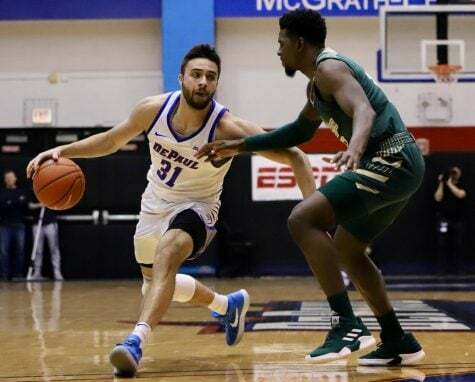 Northwestern prided itself in being a 3-point shooting team, making an average of 10 3’s per game, but DePaul held them to 6-of-27 from three. DePaul led 30-29 at halftime and had their largest lead with 15:47 to go, 43-36. For Northwestern, Collins said that work behind the scenes has led to a 10-1 start for the Wildcats. Collins, a longtime assistant under Duke head coach Mike Krzyzewski, is in his third season with Northwestern. In his first two seasons, Collins went 29-32. Yet, the rebuild might finally be paying off for a university that has never made the NCAA tournament. DePaul re-hired Leitao to instill the very same drive. 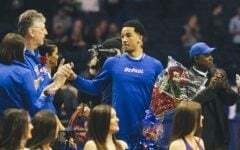 In addressing his team’s concerns going forward, Leitao said that there wasn’t just one area that the Blue Demons needed to fix. “When everything is new, there’s so much of an emphasis on so many little things that lead to the big picture,” Leitao said. “One thing Northwestern has going for them is they have momentum … It’s built some synergy. Even when things don’t go for them, they can believe because they’ve been able to sustain that effort.